What are risk factors for getting dry socket? How is dry socket diagnosed? Are there home remedies for dry socket? What is the average healing time for dry socket? What is the prognosis for dry socket? Is it possible to prevent dry socket? Dry socket is a condition in which there is inflammation of the jawbone (or alveolar bone) after a tooth extraction. It is also referred to as "alveolar osteitis" and is one of the many complications that can occur from a tooth extraction. The occurrence of dry socket is relatively rare, occurring in about 2% of tooth extractions. However, that percentage rises to at least 20% when it involves the removal of mandibular impacted third molars (lower wisdom teeth). A dry socket is a condition that may result after a tooth extraction if the blood clot that normally fills the socket is lost. The dry socket leaves underlying nerves exposed, which is very painful. 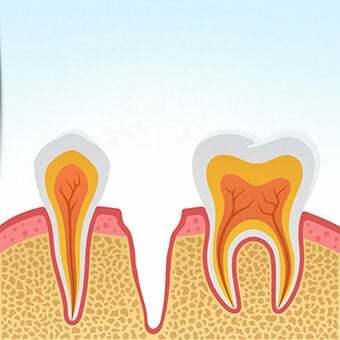 The condition is treated by a dentist who cleans the wound and places a special dressing into the socket. Over-the-counter anti-inflammatory medications like ibuprofen may be used to treat pain and decrease swelling. A dry socket is caused by the partial or total loss of a blood clot in the tooth socket after a tooth extraction. Normally, after a tooth is extracted, a blood clot will form as the first step in healing to cover and protect the underlying jawbone. If the blood clot is lost or does not form, the bone is exposed and healing is delayed. Bacterial: Preexisting infection that is present in the mouth prior to a dental extraction such as periodontal disease (or periodontitis) can prevent proper formation of a blood clot. Certain oral bacteria can cause the breakdown of the clot. Chemical: Nicotine used by smokers causes a decrease in the blood supply in the mouth. As a result, the blood clot may fail to form at the site of a recent tooth extraction. Mechanical: Sucking through a straw, aggressive rinsing, spitting, or dragging on a cigarette causes dislodgement and loss of the blood clot. Physiologic: Hormones, dense jawbone, or poor blood supply are factors that prevent blood clot formation. 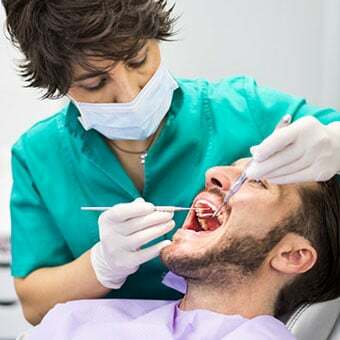 Prior to a tooth extraction, risk factors for developing a dry socket include smoking, presence of impacted wisdom tooth, being female, and being above the age of 30. Smoking is a risk factor for developing a dry socket due to the nicotine found in cigarettes. Exposure to nicotine reduces the blood supply available to the healing socket and can prevent the proper formation of a blood clot at the extraction site. 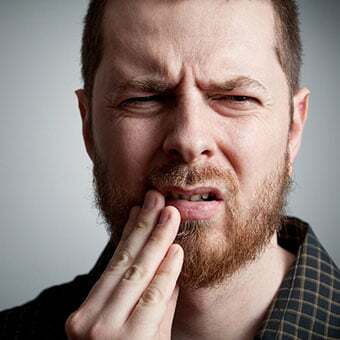 Extraction of impacted third molars (wisdom teeth) can be traumatic as some surrounding gum tissue and jawbone may need to be removed or may be adversely affected during surgery. Although the extraction is necessary, the resulting trauma can increase the chances of dry socket. Previous infections such as periodontal disease or pericoronitis at the site of the extraction can predispose an individual to dry socket. Women have been found to develop a dry socket more so than men. This may be related to hormonal factors such as use of oral contraceptives or normal hormonal changes during a woman's cycle. Patients older than 30 years of age with impacted third molars have an increased risk of dry socket. With age, the jawbone becomes more dense and has less blood supply available. A dense jawbone increases the risk of a traumatic extraction and less blood supply decreases the chances of blood clot formation and timely healing. A tell-tale sign is a socket that has a partial or total loss of a blood clot. The jawbone may be visible in the socket and the surrounding tissue may appear gray due to poor healing. Symptoms of a dry socket include a throbbing steady pain that presents a few days after a tooth extraction. The pain may radiate to other parts of the head such as the ears and eyes on the same side of the face. Bad breath and a bad taste may also be present due to the accumulation of food debris and bacteria in the socket. Diagnosis of a dry socket is based on history of dental treatment, clinical examination, and the individual's symptoms. Timing of when symptoms begin may be an indicator for a dry socket. During normal healing, the discomfort of an extraction should lessen over time. However, if the pain increases, this is an indication that healing is delayed and could possibly be due to a dry socket. Typically, symptoms for a dry socket develop two to four days after a tooth extraction. Most dry sockets happen within the first week after tooth extraction. Treatment usually involves symptomatic support while the socket heals. Initially, the dentist will gently irrigate to clear the socket of food debris. Next, an analgesic medicated dressing or packing is placed within the socket to cover the exposed bone. This usually provides immediate relief. This dressing may need to be replaced every few days during the healing process. The dressing is often coated with "dry socket paste," which is made up of ingredients with pain-relieving properties, including eugenol (clove oil). Additionally, medications can be prescribed to manage the pain. 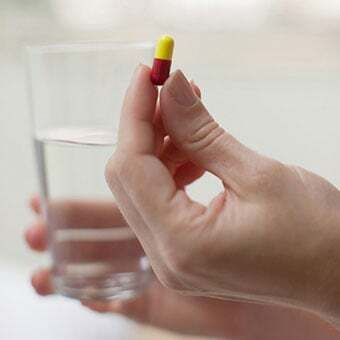 Nonsteroidal anti-inflammatory drugs (such as Advil or Aleve) or narcotics (such as hydrocodone/acetaminophen [Vicodin]) are often used to relieve pain. Home treatment for a dry socket usually involves temporary management of pain until a dental professional can be seen for treatment. Methods to provide some relief include use of over-the-counter pain medications for pain management, cold compress, or insulated ice pack on the affected side of face (15 minutes on and 15 minutes off), rinsing with saltwater to remove food debris and use of clove oil (place a one to two drops of clove oil on a clean cotton swab and gently apply to the affected area). Again, these methods are only for temporary relief of pain. Delaying a follow-up visit with the dentist or surgeon could prolong the pain as well as the recovery time. Average healing time is seven to 10 days, as this is the amount of time it takes for new tissue to grow to cover the exposed socket. Prognosis is good as there usually are no long-term consequences. Once the tissue is able to cover the bone, the healing will progress normally. The prevention of developing a dry socket may be influenced by the methods used by the dentist or surgeon performing the tooth extraction. Such preventive methods include (1) placement of a packing at surgery with or without antibiotic (for example, tetracycline) and/or (2) placement of sutures to protect the blood clot. 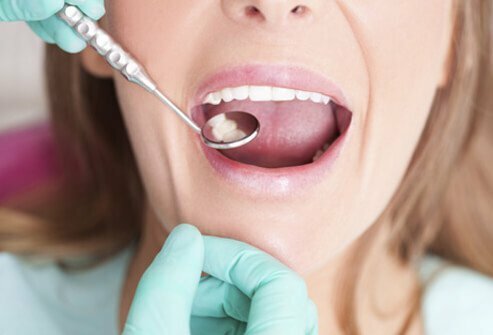 These details can be discussed with the dentist or surgeon prior to the procedure to determine if these preventive methods would be recommended. 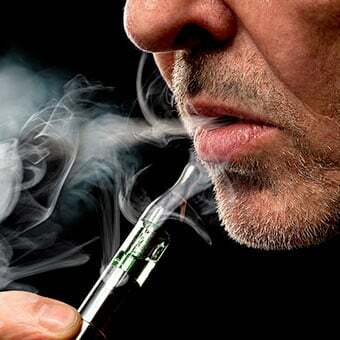 After extraction, there are a few day-to-day activities that should be avoided: smoking, drinking with a straw, and vigorous spitting or rinsing. Diet should be a soft food diet. The area should be kept as clean as possible with gentle rinsing with an antibacterial solution such as chlorhexidine rinse (Peridex). This oral rinse can be prescribed by your surgeon. It is important to follow any special instructions given by the dentist or surgeon in caring for the extraction site at home. Lastly, recent studies have shown that the incidence of dry socket with women is significantly decreased when tooth extractions are performed during their menstrual period (menses). When teeth extractions can be electively planned, the recommendation is to perform this procedure during the menstrual period. In this way, the risk of dry socket due to cycle-related hormonal changes can be eliminated. Congiusta, M. A. and A. Veitz-Keenan. "Study confirms certain risk factors for development of alveolar osteitis." Evidence-Based Dentistry 14.3 (2013): 86. Daly, B., et al. "Local interventions for the management of alveolar osteitis (dry socket)." The Cochrane Database of Systematic Reviews 12.12 (2012). Eshghpour, M., et al. "Effect of menstrual cycle on frequency of alveolar osteitis in women undergoing surgical removal of mandibular third molar: a single-blind randomized clinical trial." Journal of Oral and Maxillofacial Surgery 71.9 (2013): 1484-1489. Hita-Iglesias, P., et al. "Effectiveness of chlorhexidine gel versus chlorhexidine rinse in reducing alveolar osteitis in mandibular third molar surgery." Journal of Oral and Maxillofacial Surgery 66.3 (2008): 441-445. Peterson, L., et al. Contemporary Oral and Maxillofacial Surgery, 2nd ed. St. Louis: Mosby, 1993. Nicotine is delivered to the brain through smoking, chewing, or sniffing tobacco. Nicotine is an addictive agent. Common names for nicotine products include smokes, cigs, butts, chew, dip, spit, or snuff. Habitual nicotine use leads to many debilitating medical conditions.